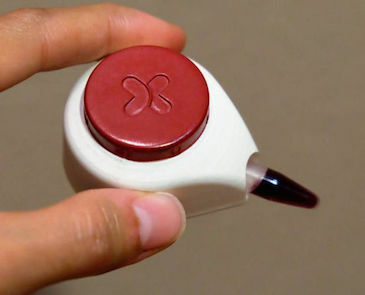 Tasso Incorporated in Madison, Wisconsin has created the HemoLink, a home medical device “about the size of a ping-pong ball” that uses vacuum pressure instead of needles to gather enough blood to test for such concerns as cholesterol, infection, and blood sugar. With the funding they received from DARPA and the National Institutes of Health, Tasso hopes to bring HemoLink to market by 2016. Tasso is revolutionizing blood-based diagnostics by placing the user at the center of the diagnostics process. 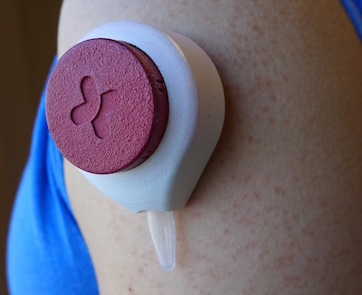 Patients are able to sample their own blood in the comfort of their home with a device that is safe, simple, and convenient. …Tasso’s vision is self-blood sampling that is convenient to your schedule and done in the comfort of your own home. Using microfluidic technologies that elegantly combine lean manufacturing and universal connectivity, Tasso is working to make healthcare responsive to your needs. Simply apply the HemoLink to your arm or abdomen, and we’ll get you the results.